Today I am not here! I am guesting over at Kittling Books where I let you nose around my writing space. The scene of the blog has actually changed since I wrote it, as my husband decided to give me a space in his office, so I might have to ask to write a follow up post! 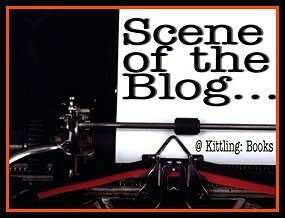 If you would like to see the scene of my blog, then please click here. There will be no comments available on this post today, so do go over to Kittling Books and leave a comment there.